The classic tote but a glamorous step-up. 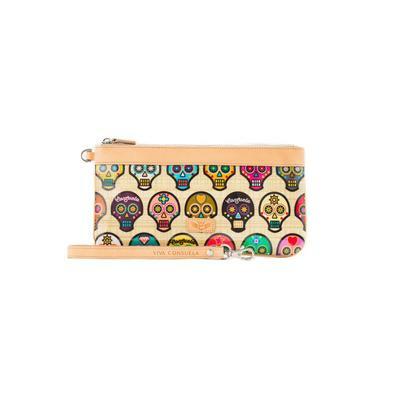 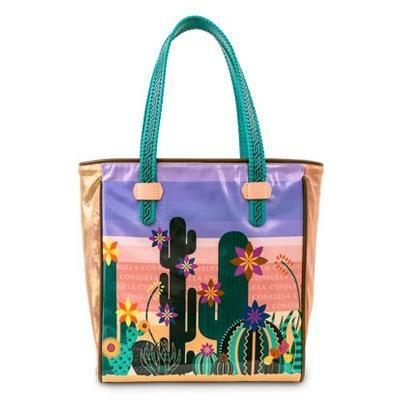 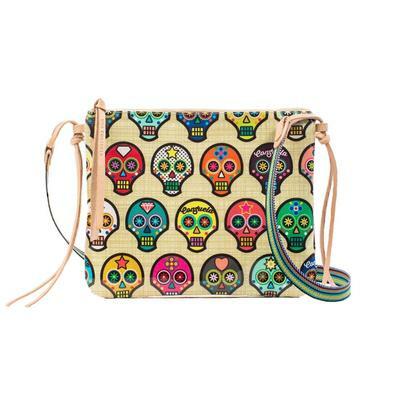 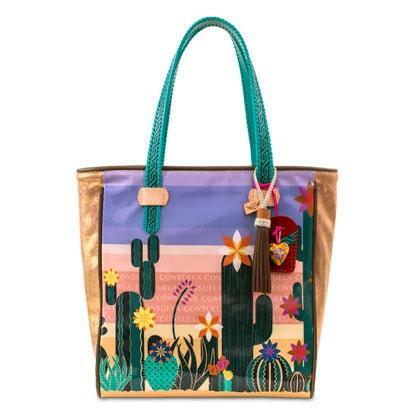 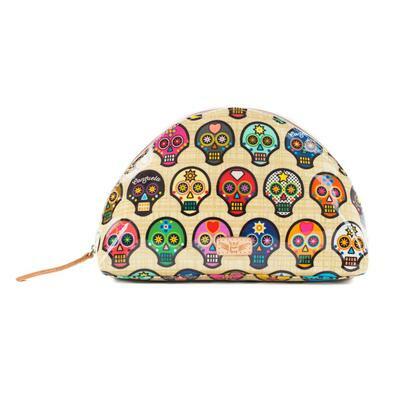 It features little charms, embossed turquoise handles and two pockets inside. 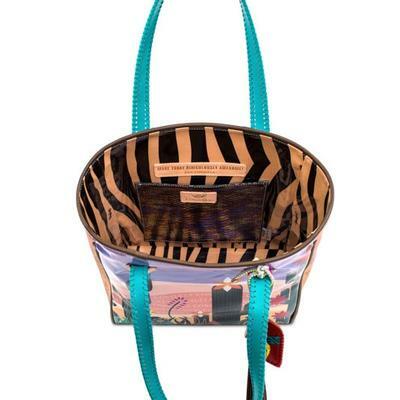 There is a Sirena slide pocket for quick access and a more secure zippered pocket. Dimensions (L x H x D): 14" x 14" x 6". 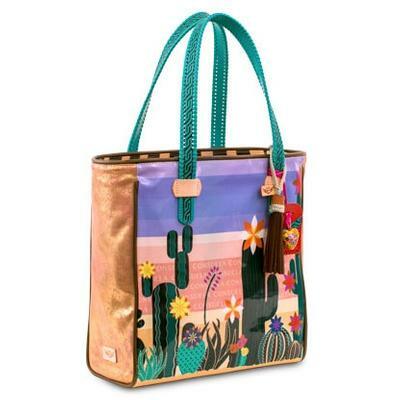 Outside: Dreamscape with Metallic Gold Leather side panels. 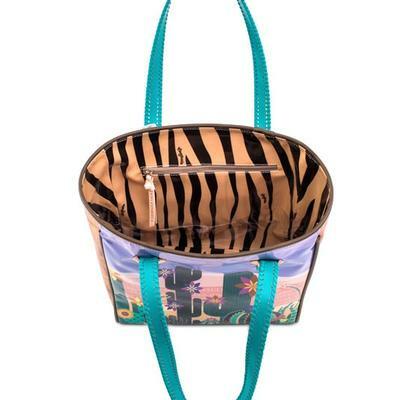 Inside: Big Kitty with a Sirena slide pocket.